This October, to fight the monsters of this world, we need the monsters of the night! 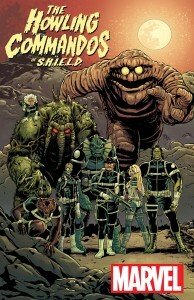 Today, Marvel is pleased to present your first look at HOWLING COMMANDOS OF S.H.I.E.L.D. #1 – the brand new series from writer Frank Barbierie and Brent Schoonover! Hidden deep beneath Area 13 lies the clandestine headquarters of S.T.A.K.E. – a top-secret division of S.H.I.E.L.D. housing aliens, mythical beasts and all manner of extra-normal entities. Under the command of the legendary soldier Dum Dum Dugan, these monsters will step out of the shadows to defend the world against all things that go bump in the night. Supernatural threats may be too much to handle for ordinary men and women, but this top-secret squad is anything but ordinary. Strap in, hold on, and get ready to meet the all-new, all-different Howling Commandos. 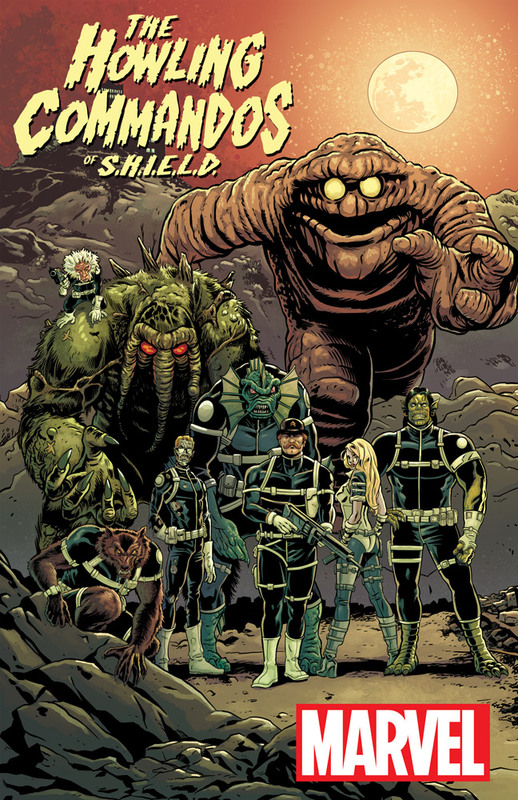 Don’t miss HOWLING COMMANDOS OF S.H.I.E.L.D. #1 – on sale this October!